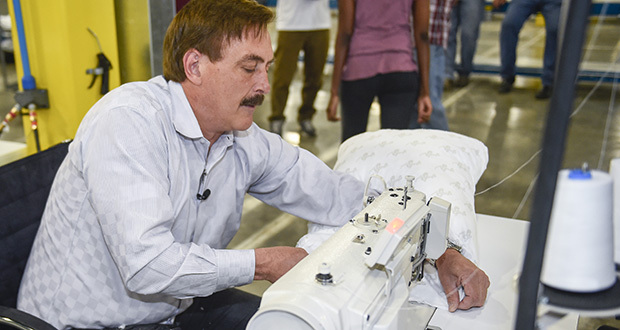 Inventor and CEO Mike Lindell of Chaska demonstrates pillow making at his new factory in Shakopee. Tune in to hear his story and find out some of the growing pains Mike experienced along the way. In this interview Mike will also share his ups and downs of being an entrepreneur and offer lessons and advice to other entrepreneurs who are just starting their own company or going through struggles today.